Vacation rental house. 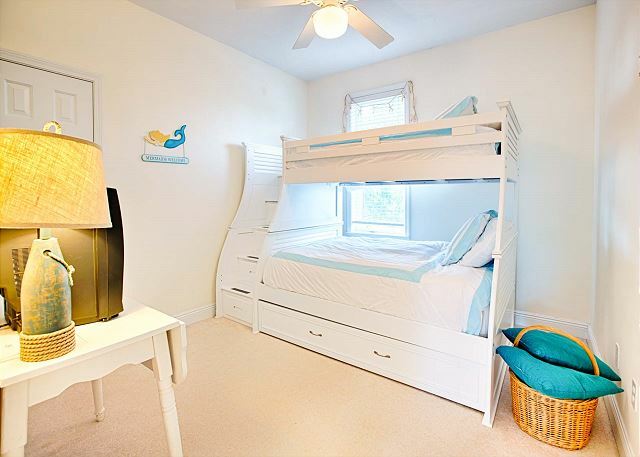 Sleeps 11, 4 bedrooms, 3 bathrooms. Dogs allowed. 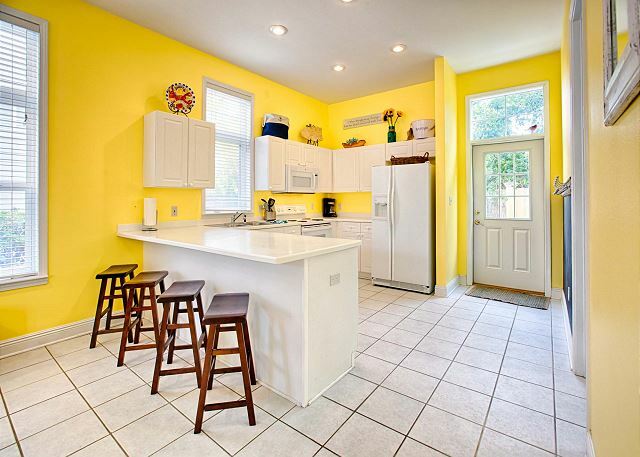 If property is unavailable for desired dates, please contact us for other potential rentals. We have over 50 in the 30a/Destin area. 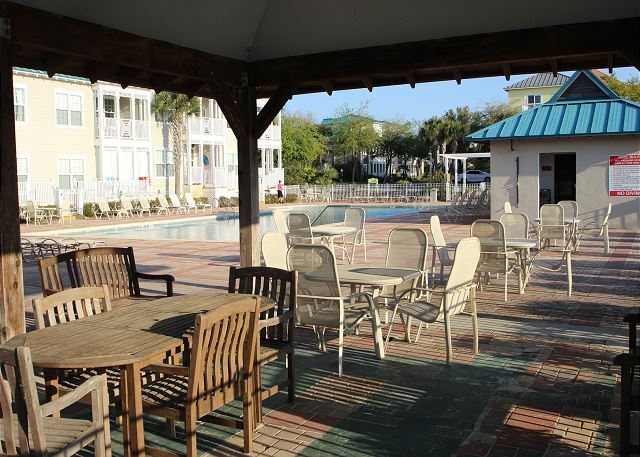 Redfish House is in the Blue Mountain Beach area, which is a very nice area in 30A! 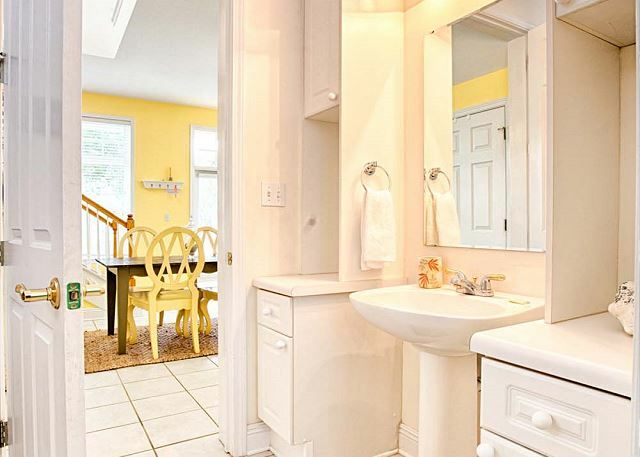 This vacation rental home has four bedrooms and three bathrooms, an open floor plan and almost 2,000 sq. ft. of living area! The first level offers the kitchen, which opens to the spacious living room and dining room. 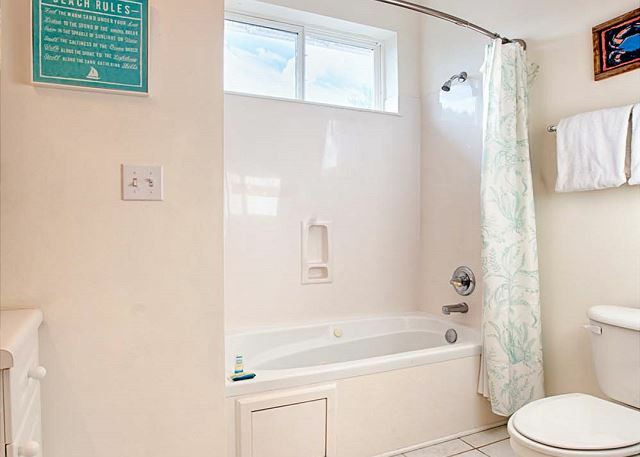 There is also a bedroom and full bath on the first floor as well as the washer/dryer room. 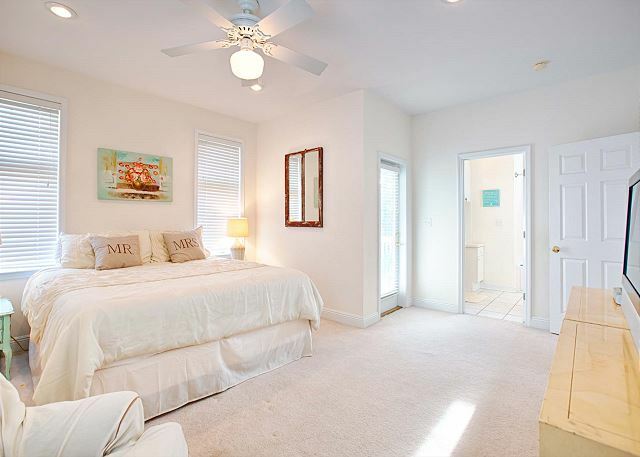 The second level offers three ample guest bedrooms with a full bath and the large master suite with bath, walk-in closet, and private balcony. There are flatscreens throughout the home! 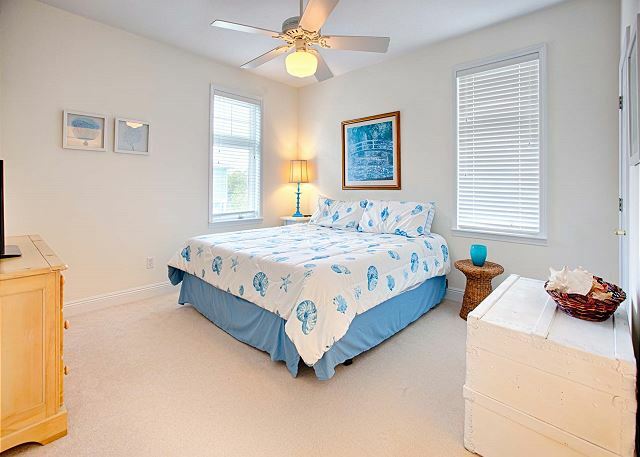 There is a large covered front deck for catching that wonderful Gulf breeze. 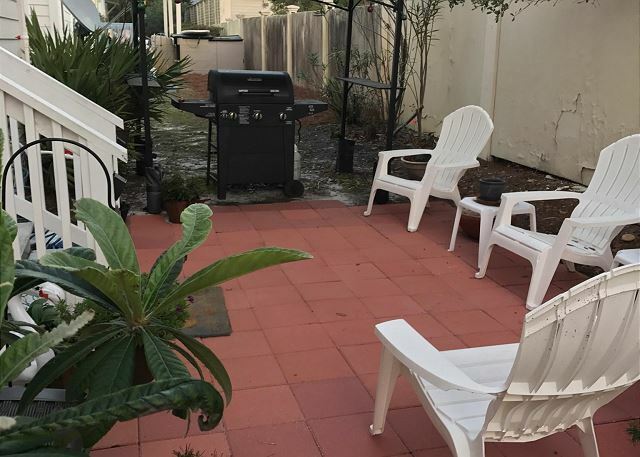 There is also a gas grill around back. 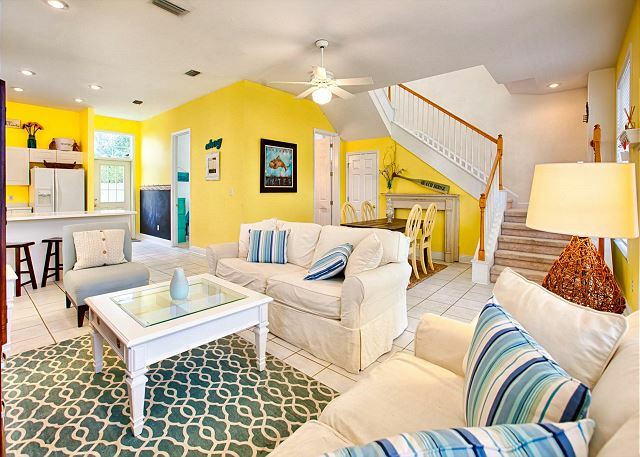 This is a wonderful beach vacation home that you won’t want to miss out on! The home is approx. 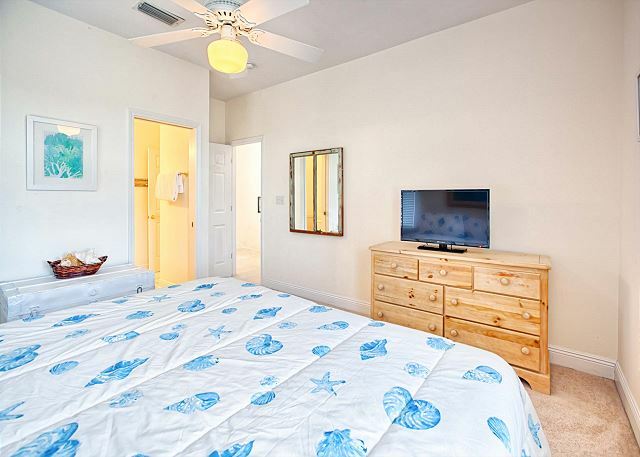 300 yards to the beach and a 2 to 3 minute walk to the pool across the street. The pool is located in The Village of Blue Mountain Community. Also nearby is Seaside, Watercolor, and Gulf Place, featuring miles of bicycle trails and plenty of wonderful shops and restaurants in 30A! Destin is only 10 miles to the west, while Panama City Beach is 15 miles to the east. 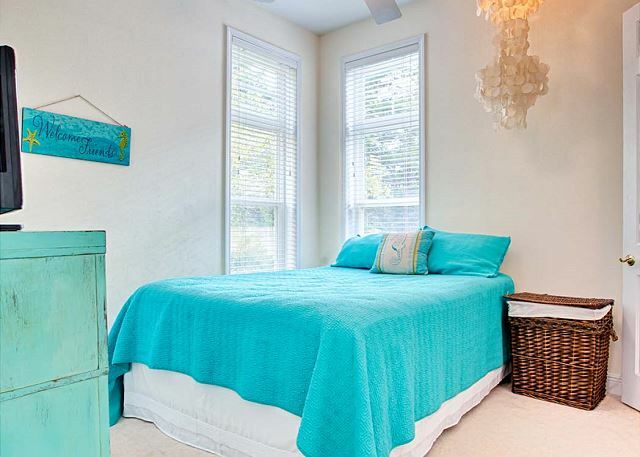 30A is a scenic drive along the emerald coast that is speckled with unique artsy beach communities, each with their special flare and appeal. Seaside hosts weekly concerts and movies and has eclectic shops and great local restaurants. If you travel further east on 30A you will reach Alys Beach which also hosts weekly outdoor concerts and movies. Further east is Rosemary Beach, which again has unique shops and eateries. A 22 mile paved walking/jogging/biking trail extends the length of 30A and passes beautiful beaches, coastal dune lakes, and picturesque beach towns. 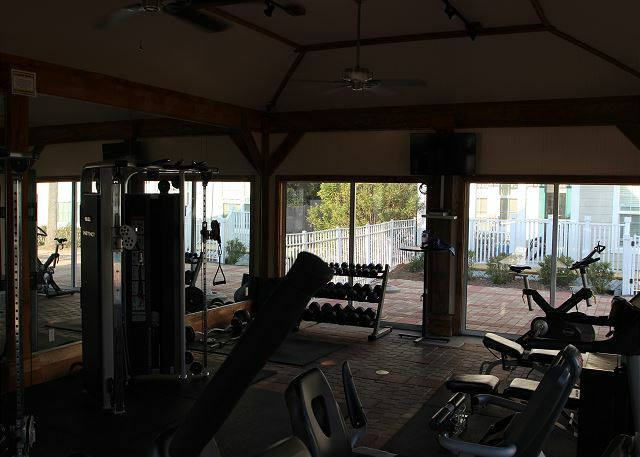 Bike/kayak rentals, restaurants, and shopping are all within walking distance of the house. We are across the street from the sugar white sands and emerald waters that have been voted one of the top 10 beaches. 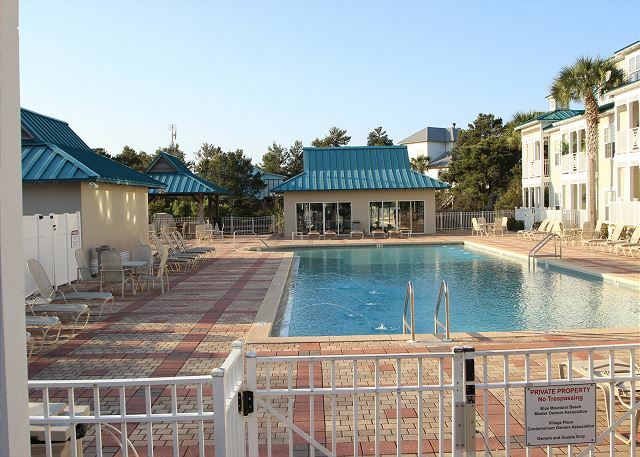 Beach access (with parking, shower, and restrooms) is also across the street from our home. Pool is not heated anytime. • A 50% Advance Deposit is due at the time of booking. • Balance is due 30 days prior to arrival date. • Check-In begins at 4:00 PM CST. • Check-Out is by 10:00 AM CST. • Must Be 25 Or Older To Rent. We have a strict family only policy. Must have 1 adult for every 2 persons under the age of 25. No-Questions Asked Cancellation Plan: Available, inquire when booking! 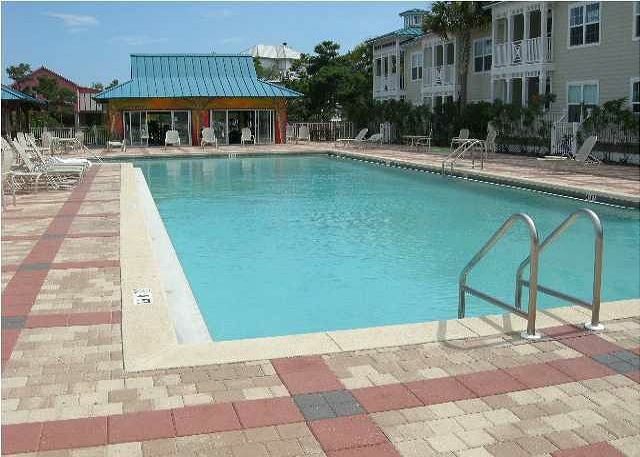 All units/houses with access to optional pool heat require a pool heat fee, unless that cost is covered by a units HOA.